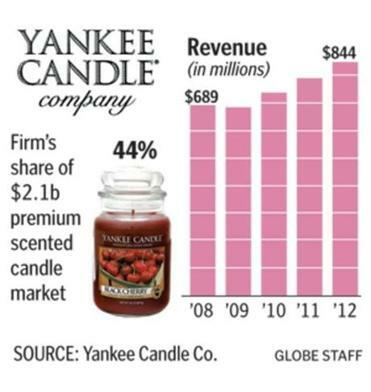 In the past five years, Yankee Candle has made more than 1 billion candles and has increased its revenue 18 percent. Western Massachusetts scented-candle creator Yankee Candle Co. has a new home, on the shelf next to Crock-Pots, coffee makers, and coolers. New York-based consumer products company Jarden Corp., which owns more than 100 brands, acquired the South Deerfield candle maker Tuesday for $1.75 billion in cash and up to $55 million in additional payments based on Yankee Candle’s performance. Yankee Candle chief executive Harlan Kent said being part of Jarden should increase the company’s marketing and technology, and lead to more sales overseas. In the past five years, Yankee Candle has made more than 1 billion candles and has increased its revenue 18 percent, up to $844 million in 2012, a standout from the overall industry’s slow growth, according to Nikoleta Panteva, a senior analyst at market research firm IBISWorld. The 43-year-old company, started by a teenager who made candles as Christmas gifts, has become the top recognized candle brand, selling everything from car fresheners to large jar candles containing the company’s signature scents such as Clean Cotton and Spiced Pumpkin. 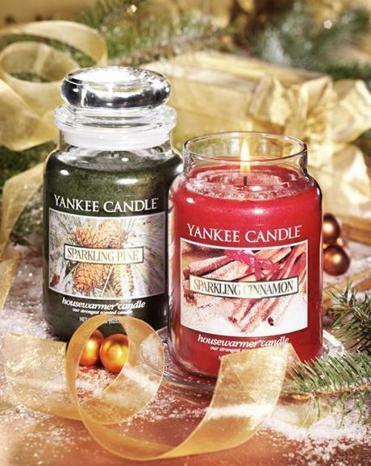 “As a successful, well-managed, and well-invested business, Yankee Candle is a solid platform for us to leverage our proven, time-tested, and portable brand-building approach,” Martin E. Franklin, Jarden’s executive chairman, said in a statement. The acquisition is Jarden’s largest to date. With 2012 sales of $6.7 billion, Jarden is a dominant player in the sporting goods and home goods markets: It owns the Rawlings baseball equipment brand, Penn fishing products and Völkl skis, Sunbeam appliances, Ball canning jars, and Crock-Pot slow cookers. A staple in malls across the country, Yankee Candle has more than 560 retail stores and manufactures more than 200 different fragrances, adding new ones each season. In 2007, private equity firm Madison Dearborn Partners bought Yankee Candle for $1.6 billion. It began looking for buyers for the company last March. Though some reports suggested it was looking to sell the candle maker for $2 billion, the Chicago firm worked with Barclays and Bank of America Merrill Lynch on a deal with Jarden for the lower price. Yankee Candle has also invested millions in marketing and branding, launching campaigns for specialty scents such as the Man Candles collection, started in 2012. Fragrances include supposedly man-cave pleasing scents such as Riding Mower, which smells like fresh-cut grass, and MMM, Bacon! The company also created a Boston Strong scent after the Boston Marathon bombing, sending $405,000, all net proceeds, to the One Fund for bombing victims. “We’re joining a successful company that’s investing in growing,” Kent said, adding that cross-marketing possibilities between Yankee and Jarden’s other brands are appealing. “Jarden already owns Diamond Match — there’s an easy synergy between matches and candles,” Kent joked.